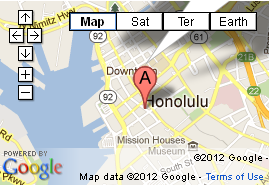 POH’s corporate office is located in downtown Honolulu which is our hub for our clients based in the state of Hawaii as well as in Pacific basin. Our Honolulu office houses our software engineers and programmers, administration scanning and banking processing bureaus for Hawaii and the Pacific. Established in 1974, Profitability of Hawaii, Inc.’s (POH) initial focus was to consult distressed companies from insolvency to profitability. In the early 1980s the focus was in helping existing companies save money through time, labor and cost-cutting. POH has developed custom solutions for large Fortune 500 companies, to mom and pop firms but always with the same mission, to increase profitability. Through development of custom tailored solutions, POH established proprietary IMIGIT™ a document management solution along with services that increase productivity and efficiency, while eliminate errors and increasing overall profitability to our customers. 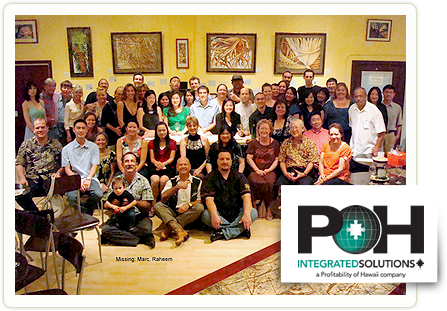 Profitability of Hawaii, Inc. (POH) Integrated Solutions was founded in 1974 and is a leading supplier of imaging & financial software, virtual printing & digital conversion services and custom software development. POH provides exceptional and flexible digital solutions for document processing, document management and scanning. Our building facilities policies and procedures include 24-hour onsite security, including locking of all elevators to our Hawaii facility during non-business hours, seven days per week. Access to our facilities, computer equipment, storage media and other restricted areas are limited to authorized individuals via the Sonitrol electronic system. This system requires that an individual process an electronic key (FOB) to gain access. All access is electronically logged by the system, including date, time and the identity of the person. Discreet cameras monitor key access points to secured areas. The monitoring system records date and time. Each video also provides research and investigative features. Each and every delivery is logged in and tracked to the status of its whereabouts, the person or persons whom it was given to for processing, and logged out when the documents are returned to the client. All staff members are thoroughly pre-screened before employment and are required to execute a confidentiality agreement. Employee access levels are determined by the “End Users Authorization” form and must be approved by the President or General Manager of POH. Visitors who need access beyond the common area must be registered in a log, display a POH visitor badge and must be escorted by authorized personnel. POH's check processing division is a SAS-70 level one audited facility.